Marriage is a wonderful union but it is not just two people coming together. Invariably, finances and to an extent credit profile also become intertwined. Although you will still have a personal credit score, if you make joint purchases, a home, for example, this will affect both parties. The upside is that most lenders will look at the couple’s joint income which will be to your advantage. If you are married in community of property both parties are jointly and severally liable for any debts incurred during the marriage. Community of property is the default unless the couple signs an antenuptial contract. In this case, the marriage will be out of community of property. In other words, the husband and wife are equally responsible for each other’s debts. If the money cannot be recovered by on part, the credit provider will try and recover the outstanding debt from the spouse. Joint accounts will reflect on both parties credit reports and affect both credit ratings. As with personal credit or debt, all information will reflect. This includes the opening balance, installments and any slow or late payments. Any negative information, defaults or judgments will affect husband and wife, irrespective of who initiated the credit. 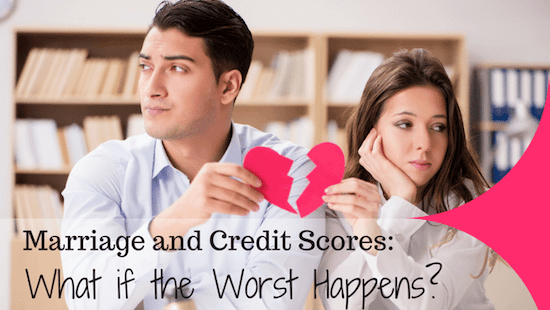 What happens if your spouse has a bad credit rating? If your spouse has a poor credit rating, this may well affect your chances of accessing credit. Credit providers will generally look at both parties when making this decision. It is therefore important for husband and wife to maintain a good credit rerating. The most serious scenario of a marriage in community of property is that if one party is declared insolvent, this will automatically apply to both parties in the marriage. Any communal property or assets can be attached in such a situation. It is important for partners in a marriage to be open and discuss existing credit and make joint decisions on future credit obligations. These decisions will affect both parties so it is only right that the decisions are made jointly. Both parties should be aware of monthly payments and how the debt is being serviced. A well run joint account will benefit both parties and increase their chances of getting credit and securing a preferential interest rate. By the same token, poorly managed finances by one party will be detrimental to the other party. Openness and honesty should ensure this does not become a major issue but a joint account should be carefully considered first. As with many things in marriage, communication is key. If both parties are honest and discuss financial issues and transactions, there should be no need for concern.